With 4K video, there’s a huge increase in the amount of image information which, in turn, also requires the use of ever more effective noise reduction techniques. The UDP-LX500 achieves further video quality improvements by applying a low noise design ethos throughout the player, minimizing noise loops in the circuitry to guarantee high-quality signal transmission. 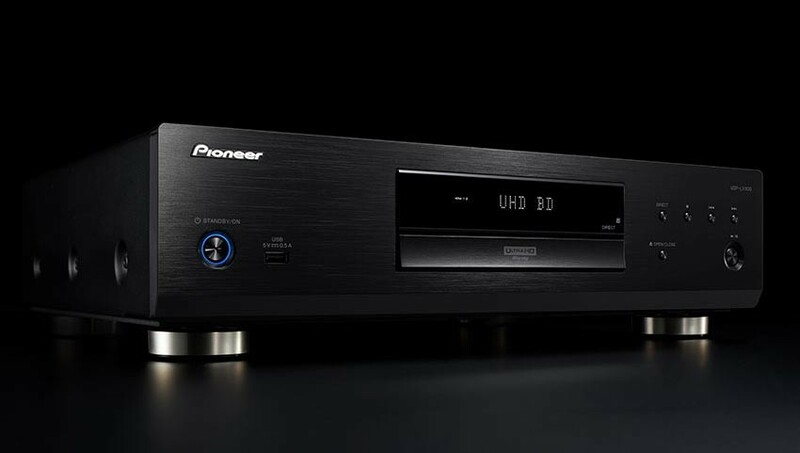 To deliver the full potential of the sound quality contained in UHD Blu-ray Discs, the Pioneer UDP-LX500 employs audio boards designed with a focus on preserving signal purity, S/N, and tonal subtlety. It also features a host of advanced sound enhancing facilities, such as a direct function for analogue connection and Pioneer’s PQLS (Precision Quartz Lock System) for HDMI connection. As well as delivering superlative movie sound, the Pioneer UDP-LX500 has also been engineered to be a superb audio-only player. With analogue 2ch playback, spurious noise around the power supply and GND have been suppressed as much as possible, and the circuit tuned to give a rich, fulsome tone of sound. The Pioneer UDP-LX500 is equipped with a “Direct function” which turns off the digital audio and video circuits. 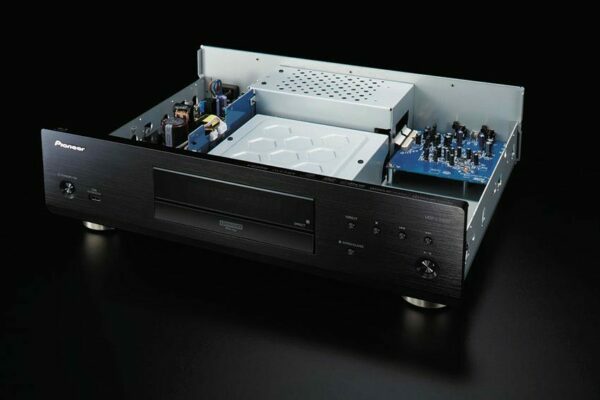 This allows listeners to enjoy high resolution sound sources and CDs with enhanced purity. 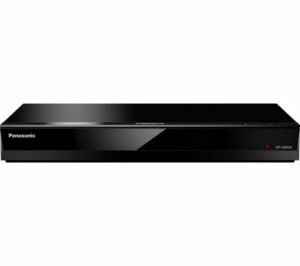 The Pioneer UDP-LX500 supports three HDMI output modes: “Separate” mode which enables high-quality transmission by separating video and audio via the main/sub HDMI outputs, “Single” mode routes both video and audio output via the main HDMI output, and “Pure Audio” mode which delivers an audio-only output from the sub HDMI terminal. The Zero Signal Terminal is an original Pioneer-developed feature that is designed to optimise audio and video quality. By connecting the Zero Signal Terminal to a suitable audio/video input terminal on an AV receiver etc., the reference ground level (GND) of audio/video signals between the two devices is matched and aligned, with any potential differences suppressed, allowing owners to enjoy audio and video with an even further improved S/N and performance level. Rapallo is an independently owned New Zealand company and with more than 15 years experience, we offer you both technical expertise and superior service. Rapallo is fully authorized to sell products by all of the manufacturers listed on our website and in our store. In most cases we are more than a reseller, we are a direct dealer who also receives training and where possible we personally test products we sell. meets manufacturer’s standards, from sales to service, in order to receive authorized status. often receives training directly from manufacturer representatives and shares that expertise with you. provides support for all the products they sell. ensures that manufacturer warranties will be honoured. buys directly from big brand manufacturers and guarantee you buy NZ new, (no grey imports or parallel imports). The Internet is an incredibly convenient information source and a wonderful way to find savings on the products you want. Protect yourself online by buying from authorized dealers, with genuine feedback and reputations. A price too good to be true, usually is. Our customers often share these stories with us, so we thought we would share a few with you, in hopes that you don’t fall prey to any of these unscrupulous sales tactics. Goods may be grey market/parallel imported. They may state that the product includes the manufacturer warranty, but not tell you that the warranty is valid only in Europe, Japan, or South America, and NOT in NZ. Included parts may be sold to you separately. Some resellers will open boxes and charge extra for parts that are normally included by the manufacturer. Hidden charges which don’t show up until your credit card statement arrives, these charges only show up when your credit card statement is sent to you. When something goes wrong, faulty, late delivery, doesn’t matter how many times you try to email, they don’t get back. There are so many scamming online sellers today, “buyer beware” protect yourself! Think you have a better price from someone in NZ (authorised dealer)? Call us, we’ll see what we can do. 12 months interest free over $1,000 or 18 months interest free over $2,000 finance available (on non-discounted items). Apply here. The internet has become a more popular source for online shopping, regrettably we have seen more and more instances of fraud affecting online shoppers. Companies trading under many different names, loading warranties and charging for them as extras when often they are included from the manufacturer. Parallel imports or personal imports where the NZ supplier refuses to repair when things go wrong is often alarming to the unsuspecting purchaser. Inflated freight charges, customs and GST at the border are often forgotten as a buyer is tempted by a lower price. Constantly we hear all these stories, once bitten it’s all to late looking for that refund or replacement. The stories are outrageous at times, customers from Trademe and ebay with no place to turn, time consuming and very frustrating…. So how do you protect yourself from online fraud? Buy from an authorized reseller. If you are at all suspicious, contact the manufacturer directly and ask if a company is authorized to sell their products. Make sure you get a company invoice with GST clearly marked. Read customer feedback, you can usually tell if it’s genuine or not. We hope that you will become our next happy customer. And we promise to offer you superior service before, during and after your purchase.